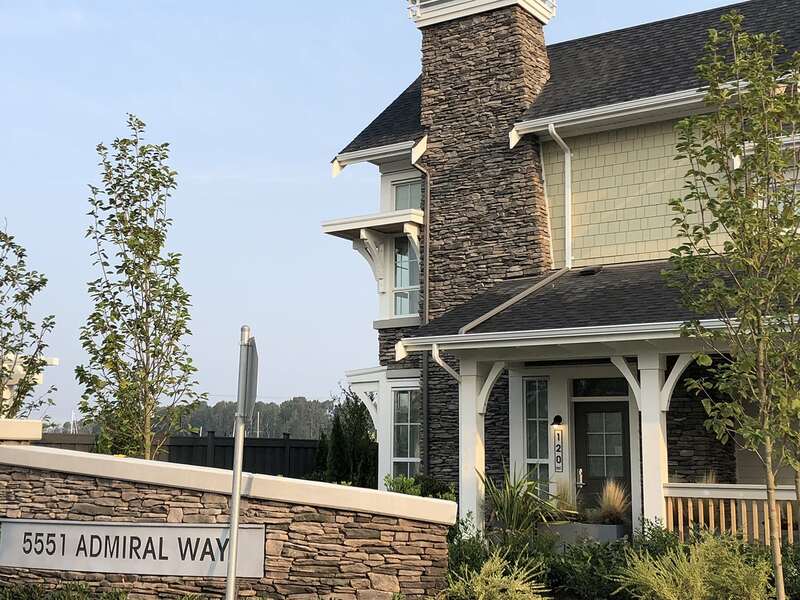 EKISTICS Architecture team are proud to introduce Beaufort Landing – a special waterfront collection of executive townhomes designed for Polygon. 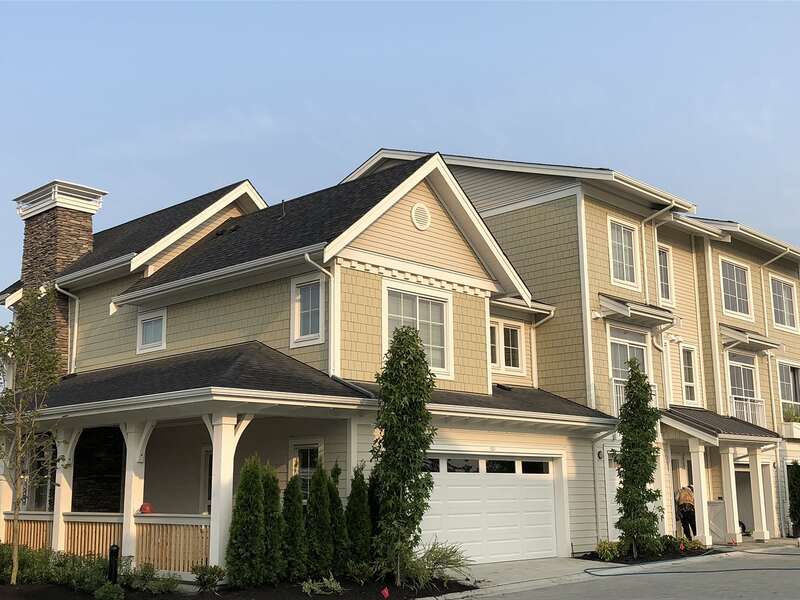 Nestled in the vibrant masterplanned community of Hampton Cove, Ladner, our designs celebrate a rich “East Coast Hampton” character consistent with the vision for the Hampton Cove community. 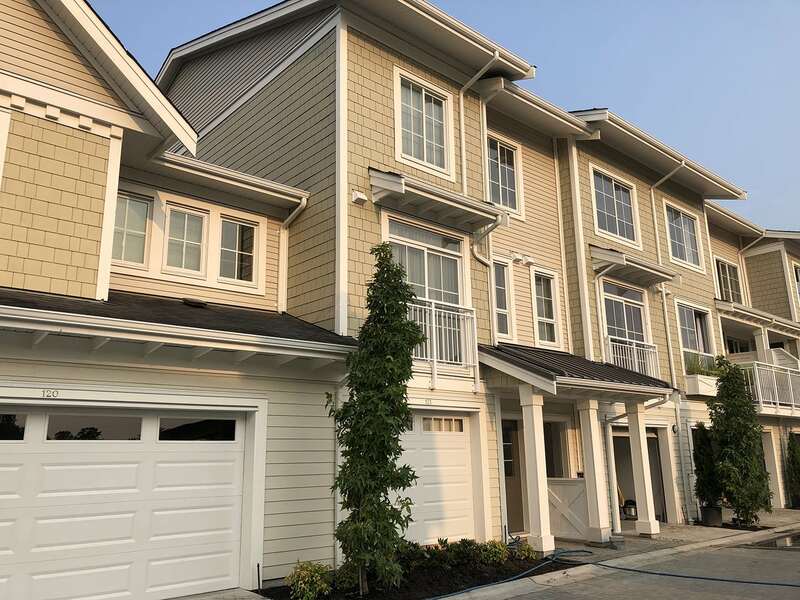 Townhomes provide a ground-oriented housing form offering residents a lifestyle similar to a single family home, with building articulation and massing that enhances individual units and animates the streetscape of the community.